Q: What do you get when you combine Downtown hipsters, a Warhol-esqe treatment of Mahatma Ghandi, craft beer and Chicken Tikka Poutine? A: Badmaash, which opened last month and appears to be the country’s first Indian Gastropub. 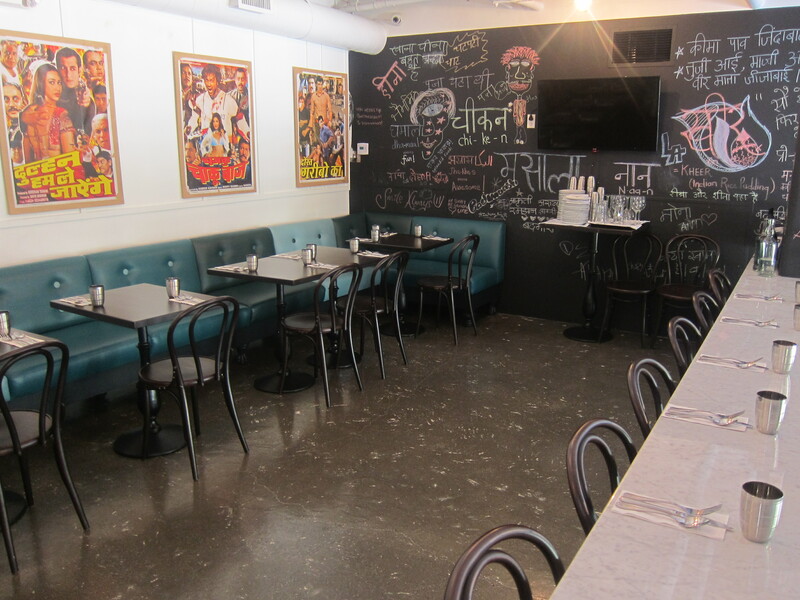 Its name is Hindi slang for a rascal or mischief-maker, and this Indian bad boy sports a modern and über-cool look which includes blackboard walls and brightly-colored vintage Bollywood movie posters. Rock music and an eclectic selection of fruity wines, India pale ales and other microbrews create a party-like atmosphere which stimulates the chakras and brims with good karma. The food is as fun as the decor. 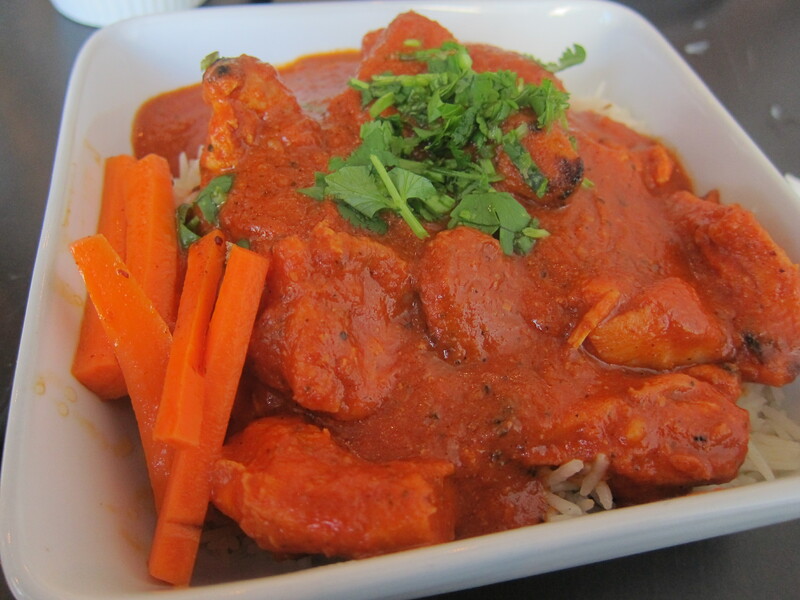 The menu offers a mix of Bombay street food, Indian fusion cuisine and traditional Indian favorites. 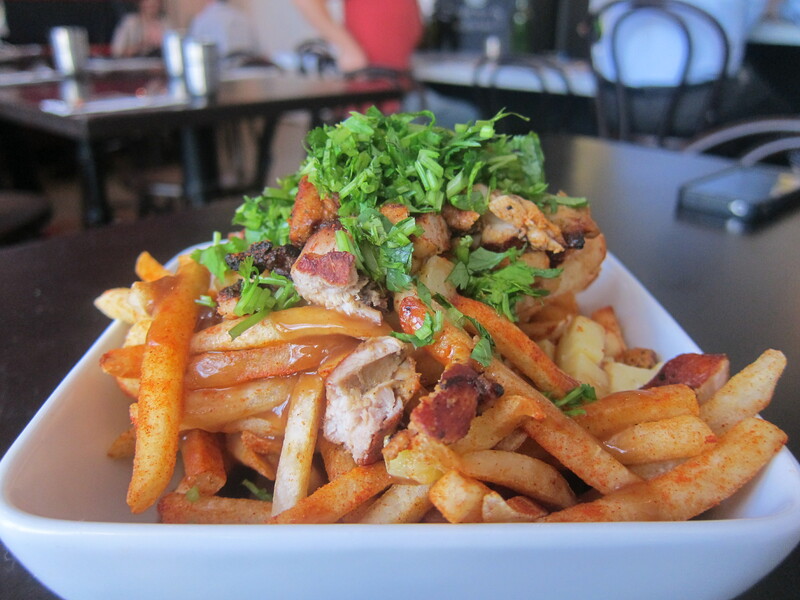 Badmaash’s mash-up fare includes the aforementioned Chicken Tikka Poutine (which is excellent and pictured above), Crispy Tamarind Glazed Pork Belly with Housemade Pickles and Cilantro-Pineapple Yogurt, a Spiced Lamb Burger and Chili-Cheese Naan Bread. 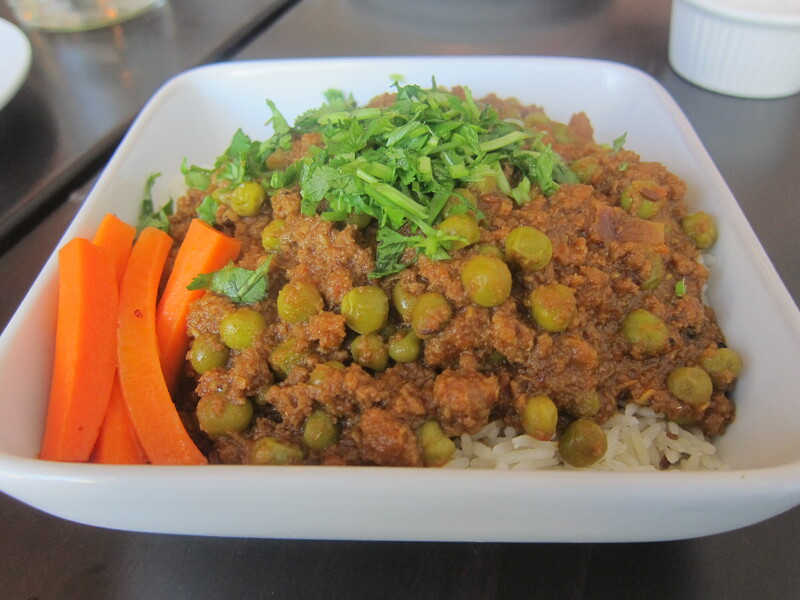 There’s even a blasphemously delicious beef dish (which you rarely see in Indian restaurants for religious reasons) called Holy Cow Keema POW! If you want to go old school, you can feast on Butter Chicken, Saag Paneer and Ghost Chili Lamb Vindaloo. 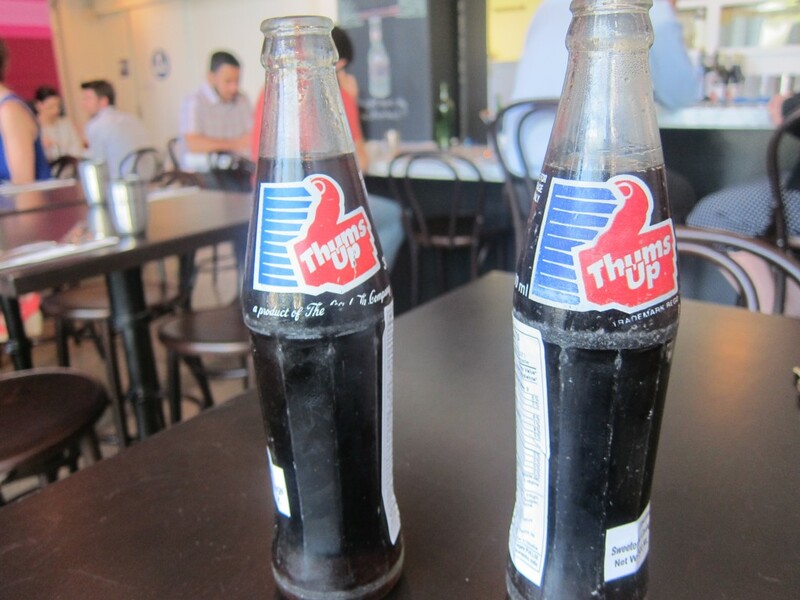 To drink, I recommend trying an imported Thums Up soda, a spicy cola with a strong cardamom and cinnamon flavor. 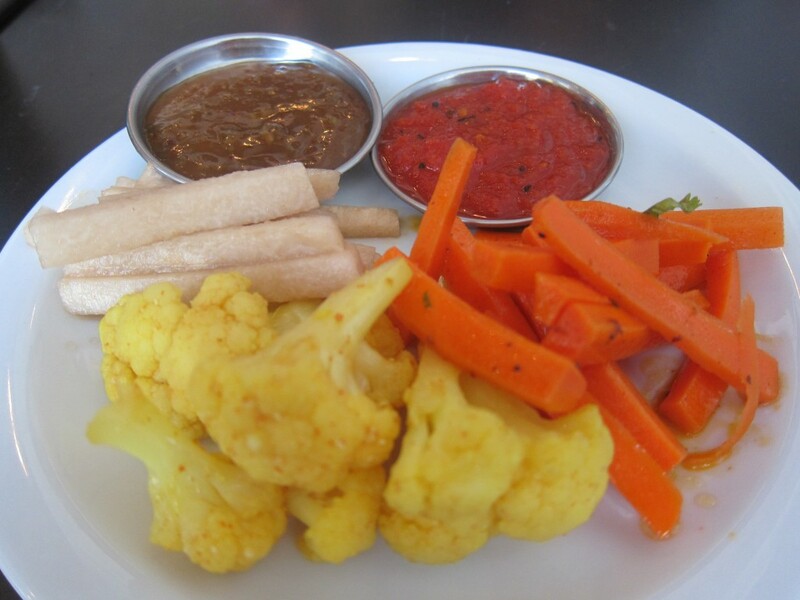 Namaste, LA foodies! 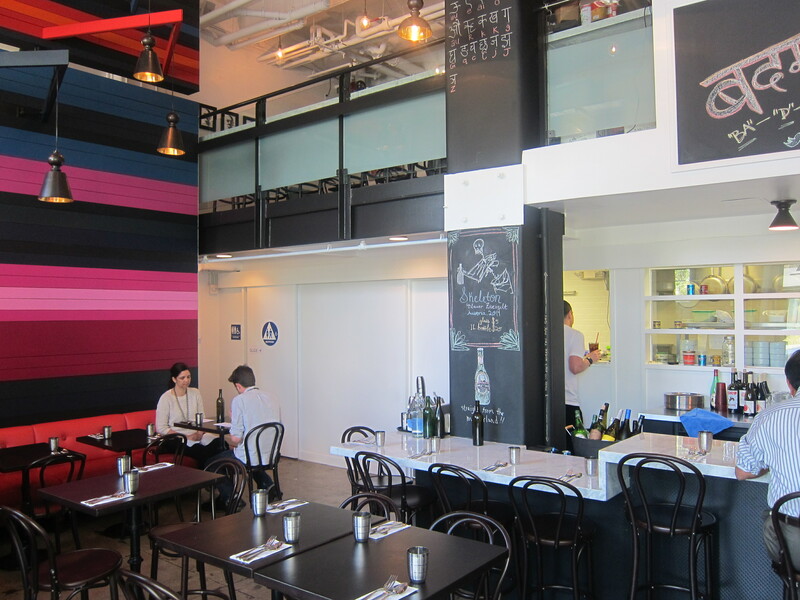 Badmaash is located at 108 W 2nd St, Los Angeles (Downtown). Whaaaat?! I’m gonna have to try this place.